As the only collection of essays to present, in a comprehensive way, the case against belief in God, this classic volume rejects the view that moral values and human purpose require divine sanction. 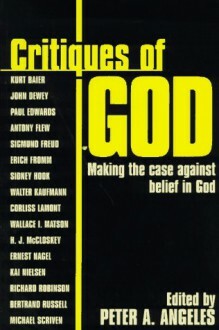 The arguments for God's existence, the validity of mystical experience, and the importance of the God concept for the development of morality and meaning in life are critically evaluated by sixteen well-known philosophers and psychologists. Included are works by Kurt Baier, John Dewey, Paul Edwards, Antony Flew, Sigmund Freud, Erich Fromm, Sidney Hook, Walter Kaufmann, Corliss Lamont, Wallace I. Matson, H J McCloskey, Ernest Nagel, Kai Nielsen, Richard Robinson, Bertrand Russell, and Michael Scriven. Included are discussions of the meaning of the existence of God, the relationships between faith and mysticism, reason and science, fate, the problem of evil, ethics without God, and immortality.